Digital Liberator Is a documentary web series that takes a look at BASE FM’s unique culture and history traversing the past, present and future. Directed by Reelgood Productions the series celebrates BASE FM’s 9-year milestone and talks to the artists, Djs and personalities that have grown up alongside the BASE FM movement. The Series features friends, and ‘Liberators’; Ladi6, Parks, Julien Dyne & B.Haru Music (Ladi6 Crew), Tom Scott (Home Brew, @Peace) Mara TK and Taay Ninh (Electric Wire Hustle), Scratch 22, Isaac Aesili (Funkommunity, LatinAotearoa), Mark Williams AKA MC Slave (Fat Freddy’s Drop), King Kapisi, Manuel Bundy and more. Turn It Up! Track Of The Week was created to showcase New Zealand’s freshest underground music. Brought to you by NZ On Air, the feature plays weekdays at 10am and 4pm featuring songs from the world of soul, hiphop, beats, dubstep, reggae and drum & bass. ‘Turn It Up!’ brings together tracks from the last 9 months; sequenced, mixed and cut by Base FM Programme Director and DJ, Dylan C.
– Chip Matthews, Base Breakfast Host. Digital Liberator Series, Episode One; Will be released Thursday 2nd of May online. 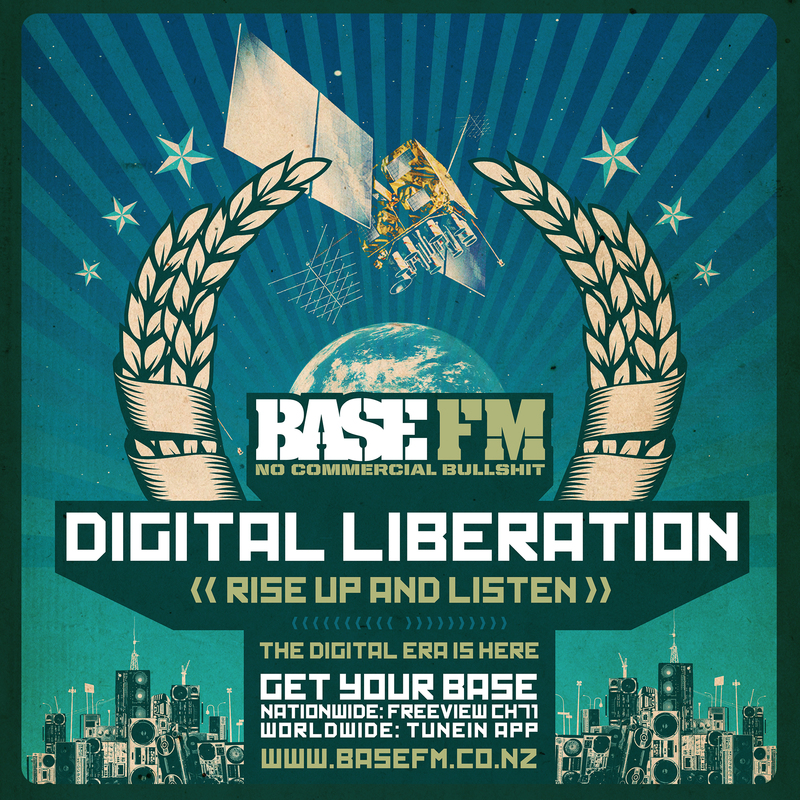 To view the series, and learn more about Base FM’s digital push, make www.basefm.co.nz a destination this May. Special thanks to; ReelGood Productions Red Bull, Skullcandy, Vice.com, Mukuna, ABC Clothing, Freeview, iThink Creative and NZ on Air.